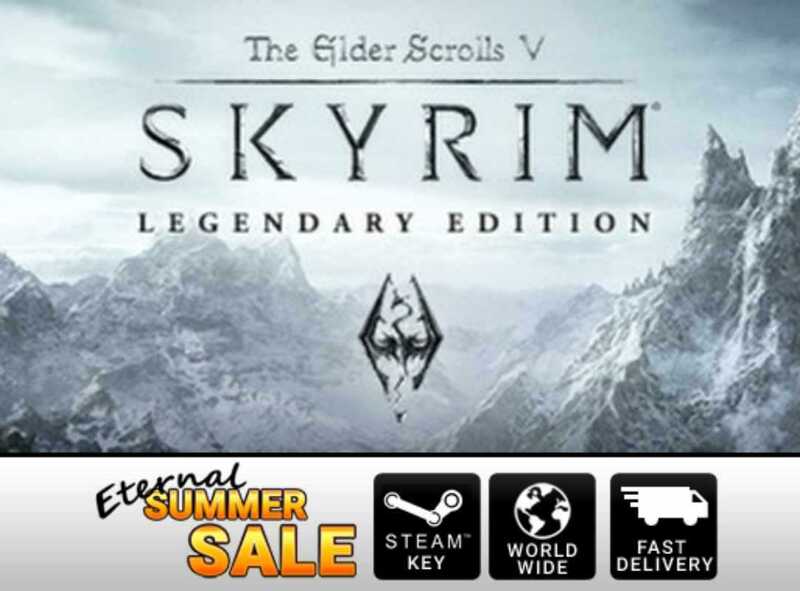 Longtime fans of the series would have already purchased the game but those of you who are interested to give it a shot, this is the time to buy Skyrim Legendary Edition on Steam Summer Sale 2016. The base game is priced at just $5 which is extremely low and readily affordable. However, if you are looking forward to enjoy the remastered version of Skyrim scheduled to get launched by the end of 2016, you should own all the three expansion packs released. The Skyrim Legendary Edition is the one you need which is priced higher than the base game but it is definitely worth the purchase. The edition gives you access to all the DLC packs. In addition to it, you will also receive a free copy of the remastered version when it gets launched this holiday season. The latest version of Skyrim is totally revamped with god lights, atmospheric fog, new textures, resolution upgrade and more tweaks so as to make it look beautifully brilliant. The version is best experience on a high end PC with modern day graphic cards as the new hardware can easily bring out 60 FPS or even more based on the configuration. We had the chance to see how Skyrim remastered edition looks and it is as immersive as the game. With so many mods out there, the adventure could start over. There is no need to spend much as the legendary edition is heavily discounted. For those who have already purchased the title and the expansion packs, all you have to do is wait for the title to get launched. Skyrim remastered edition is releasing on Steam on October 28th, 2016. While it is possible to purchase the new title for a price, buying the older version is much cheaper. It also includes all the DLCs which when remastered will give you new content to enjoy in 1080p HD glory. The entire gaming industry is moving towards 4K gaming experience. However, we can always play older titles that are worth the time and money. Skyrim is one among them on the lines of Fallout 4 and other open world titles by developer Bethesda. Players on Xbox One and Playstation 4 will not receive any free copy of the remastered game. It is slightly disappointing for them but the business model in consoles is always different from what publishers follow on PC.